Today, most of us are familiar with stalk celery (Apium graveolens L. var. dulce), but did you know there are other celery plant varieties? Celeriac, for example, is gaining in popularity in the United States and is a different type of celery grown for its root. If you are looking to expand your celery repertoire, you might be wondering about the common varieties of celery available. Grown for its succulent stalks or petioles, celery dates as far back as 850 B.C. 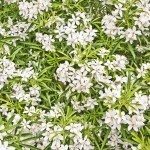 and was cultivated not for its culinary use, but its medicinal purposes. Today, there are three different kinds of celery: self-blanching or yellow (leaf celery), green or Pascal celery and celeriac. In the United States, green stalk celery is the usual choice and used both raw and cooked. Stalk celery originally had a tendency to produce hollow, bitter stalks. Italians began cultivating celery in the 17th century and after years of domestication developed celery that produced sweeter, solid stalks with milder flavor. Early growers discovered that celery grown in cool temperatures that is blanched reduces the unpleasant strong flavors of the vegetable. 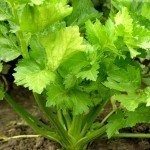 Below you will find information on each of the celery plant varieties. Celeriac, as mentioned, is grown for its delicious root, which is then peeled and either cooked or eaten raw. Celeriac (Apium graveoliens var. rapaceum) takes 100-120 days to mature and can be grown in USDA zones 8 and 9. The most commonly used in the United States is stalk celery or Pascal, which thrives in long, cool growing climates in USDA, zones 2-10. It takes between 105 and 130 days for stalks to mature. 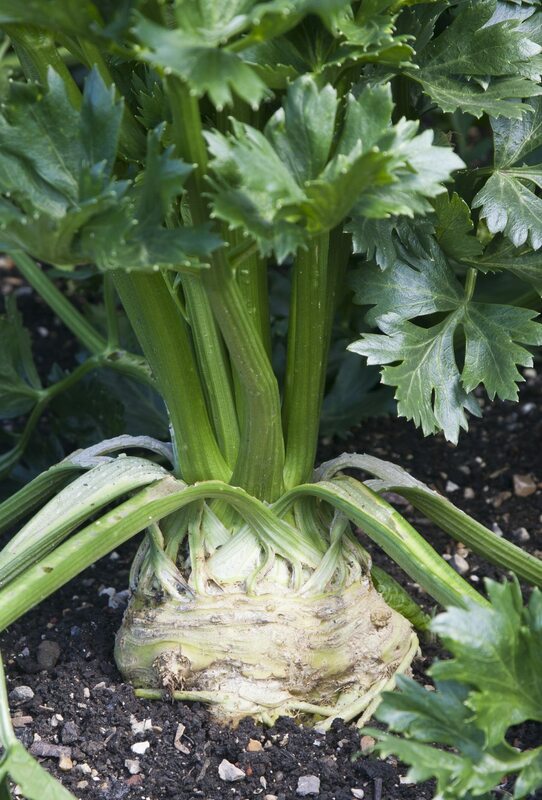 Extreme temperatures can greatly affect this type of celery plant’s growth. It favors temperatures below 75 F. (23 C.) with night temps between 50-60 F. (10-15 C.). There is also wild celery, but it isn’t the type of celery we eat. It grows underwater, usually in natural ponds as a form of filtration. With so many different kinds of celery, the only issue is how to narrow it down to one or two.